Mental health was the cause of choice for many donors this Spring. One donor’s 2008 Hyosung GT250 Comet raised over $1000.00 for his chosen charity, the Mental Health Foundation! With mental health issues directly and indirectly impacting thousands of Canadians, your gift matters. 8% of adults will experience major depression at some time in their lives. 1% of Canadians will experience bipolar disorder (or “manic depression”). 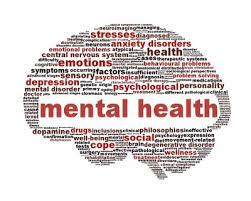 An interplay of genetic, biological, personality and environmental factors causes mental illnesses. Almost one half (49%) of those who feel they have suffered from depression or anxiety have never gone to see a doctor about it. Stigma or discrimination attached to mental illnesses presents barriers. There are barriers to diagnosis, treatment, and acceptance in the community. The economic cost for the Canadian health care system was estimated to be at least $7.9 billion in 1998. $4.7 billion in care, and $3.2 billion in disability and early death. An additional $6.3 billion was spent on uninsured mental health services. These costs are for time off work for depression and distress that was not treated by the health care system. It is estimated that 10-20% of Canadian youth are affected by a mental illness or disorder. This is the single most disabling group of disorders worldwide. 5% of male youth and 12% of female youth, age 12 to 19, have experienced a major depressive episode. The total number of 12-19 year olds in Canada at risk for developing depression is a 3.2 million. Once depression is recognized, help can make a difference for 80% of people who are affected. This allows them to get back to their regular activities. Mental illness is increasingly threatening the lives of our children. Canada’s youth suicide rate is the third highest in the industrialized world. Suicide is among the leading causes of death in 15-24 year old Canadians. It is second only to accidents. 4,000 people die prematurely each year by suicide. Schizophrenia is youth’s greatest disabler. It strikes most often in the 16 to 30 year age group, affecting an estimated one person in 100. 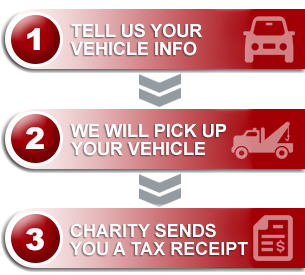 As you consider who to gift with your vehicle donation, keep mental health in mind!